When you save files in Elements, you need to pick a file format in the Format drop-down menu found in both the Save and Save As dialog boxes. File formats are especially important when you exchange files with other users. Each format has a purpose, and other programs can accept or reject files depending on the format you choose. Whether you can select one format or another when you save a file depends on the color mode, the bit depth, and whether layers are present. If a format isn’t present in the Format drop-down menu when you attempt to save a file, return to one of the edit modes and perform some kind of edit, such as changing a color mode or flattening layers, in order to save the file in your chosen format. Elements provides you a long list of file formats, many of which are outdated. What is important is to know the essentials and what you’re likely to use in your editing sessions. Although many different file formats are available, there are really only a few that you will want to use. At most, you’ll use maybe three or four of these formats. You don’t need to remember all the formats and what they do. 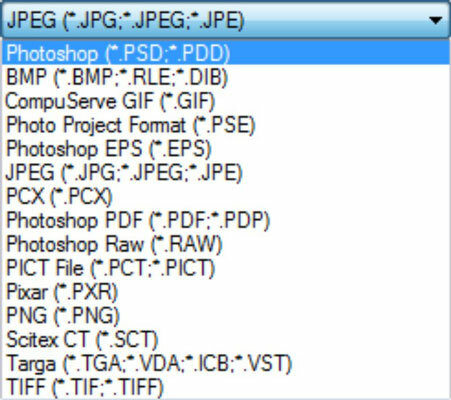 Just pick the ones you use in your workflow and check the following table from time to time until you have a complete understanding of how files need to be prepared in order to save them in your desired formats. * Embedding profiles is limited to embedding either sRGB IEC61966-2.1 or AdobeRGB (1998). ** The letter H in Column 4 represents higher-bit modes, such as 16- and 32-bit images, which you might acquire from scanners and digital cameras. *** CompuServe GIF doesn’t support saving layers, although it supports saving layers as frames. You use the frames when creating an animated GIF file to be used for web pages.